So, family, we have come to a point where the matriarch of the family is no longer with us. It pains my heart to say that my great grandmother, Mrs. Elouise Westbrook, passed on Sept. 13, 2011, in the comfort of her own home in the city she loved, San Francisco. Her home on Turk Street was the place that she chose to take her last breath. 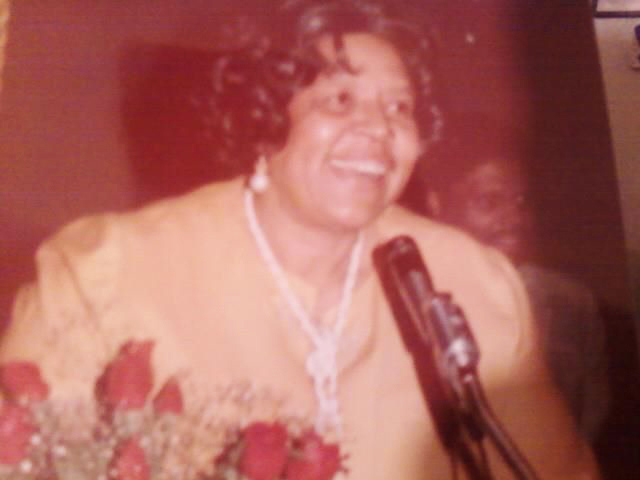 Our great grandmother was the real Madea, an iconically strong Black grandmother; her word was law within the family. Now, family, you all know that Granny made sure that we stayed in line with that tough love. She was a very strong woman and wasn’t afraid to show her strength or speak her mind. I know that I personally inherited her passion. I know when there is something that I want or something that I want to do, there isn’t anything or anyone that can stand in my way. Seeing what my family is growing into, I can tell that you all inherited it too. I assume that Granny’s passion for politics pointed me in the direction of law. I can remember many evenings sitting in her room watching TV shows like “In the Heat of the Night,” “Matlock” and “Perry Mason.” And I think about those times with her often, as I begin my studies at Humphreys Law School. My great grandmother had very many talents. One of her greatest was the ability to speak to people in a way that they would truly understand – not just listen, but really hear. She knew how to tailor her words to her audience. I only wish that I could have been there in person to hear her speak, back when she was organizing the community for better housing and health care. I can imagine the way her voice would have cracked with so much passion because she was fighting away the tears. She also had the talent of influence. Her words came with such a strong force that you had to see things her way. It seemed to me that she always used these talents for good. I only wish that I could have been there in person to hear her speak, back when she was organizing the community for better housing and health care. Her words came with such a strong force that you had to see things her way. It seemed to me that she always used these talents for good. Elouise Westbrook had a very compassionate heart. When she saw that the neighborhoods that were home to a large number of Black people were being torn down, she felt she had no choice but to step in and help. No one forced her to help; it was something she wanted and felt she needed to do. Even though she was never an elected politician, she was a force to be reckoned with in the political world. She spoke loudly and carried a small stick. Her voice was her weapon of choice, which was amazing because, remember, she was accomplishing things in a time when our community had no voice. She had a voice that made people stop and listen. My great grandmother didn’t do her work alone – she was a member of a group called “The Big Five.” This was a group of women that was very well known and respected in the Bayview Hunters Point community. The community knew that when they came to the Big Five with concerns, they were going to be heard, and action would be taken. These women didn’t sit around and wait for someone to come to them with funding in order to build community power – they went and took it! There is a famous story about many of the Big Five women going to Washington, D.C. Granny marched in the streets of the capital – some say she was barefoot – to raise monies to complete housing that had been promised for Hunters Point Hill. With the rest of the Big Five, this powerful woman was granted $40 million that was used to build affordable housing for people on the hill. 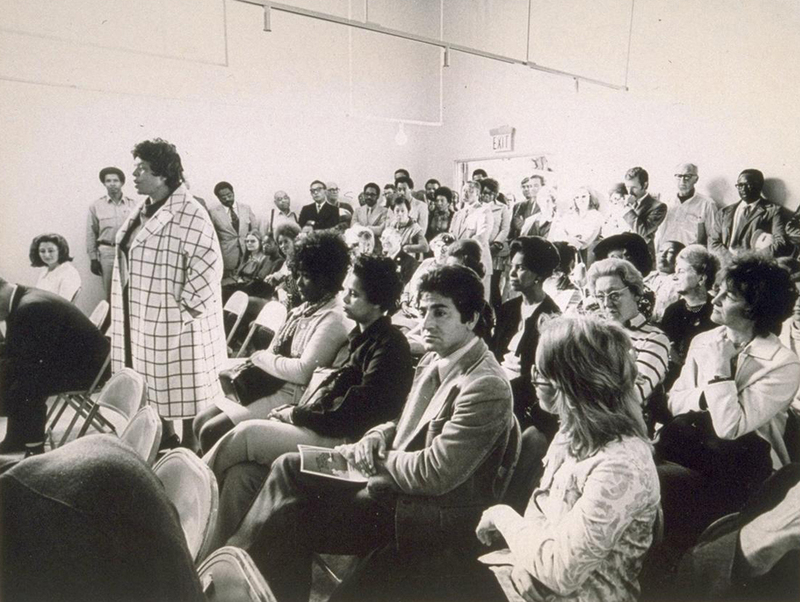 In the years before she died, she also managed to achieve success in a decades-long fight to build a health center for low-income San Franciscans. These are just two of the major achievements of her lifelong community work. How amazing to be able to say that in your lifetime you were able to make such accomplishments! Elouise Westbrook was a very special lady. She touched so many lives, and that definitely showed with the huge crowd that came to her funeral. On behalf of this large family, I would like to thank everyone who came out for the services. Also, thank you for loving her while she was still with us. That truly means a great deal to us! Thank you. Balynda Jones-Presley can be reached at balypresley@comcast.net.